I recommend purchasing organic lemons for this project, but if you can't get your hands on any (or you feel they are too expensive) then give the lemons a bath in baking soda water to remove pesticides. Just fill a large bowl with water, add 2 teaspoons of baking soda, and soak lemons for 12-15 minutes. Rinse them well and pat dry before zesting. 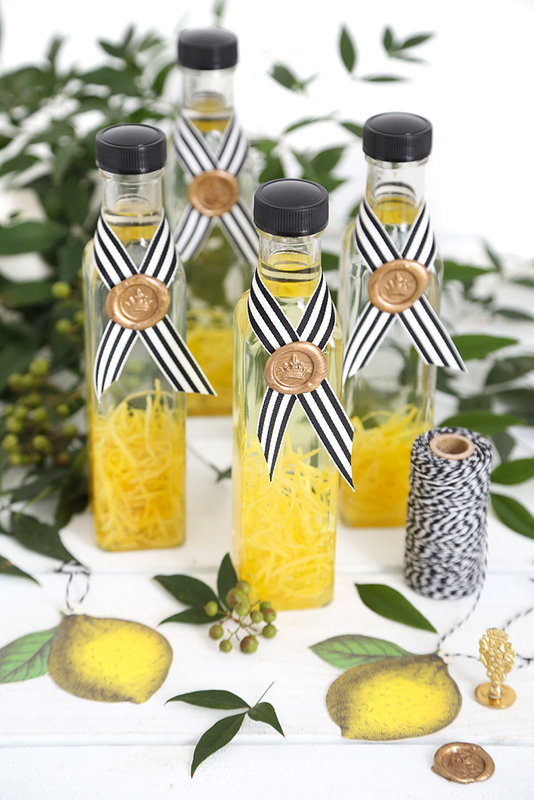 I recommend using a ribbon lemon zester for homemade lemon extract because it removes only the skin and none of the pith. Getting pith in your extract will make it taste soapy. I began this project with these 8.5 ounce bottles. Sterilize the bottles by dipping them in a large pot of boiling water. Have a kitchen towel on the counter to place the freshly dipped bottles onto - although they'll dry almost instantly after they are removed from the water. A rubber-coated canning lifter is the safest and best way to maneuver the bottles in and out of the hot water. Decorating the bottles is probably my favorite part. 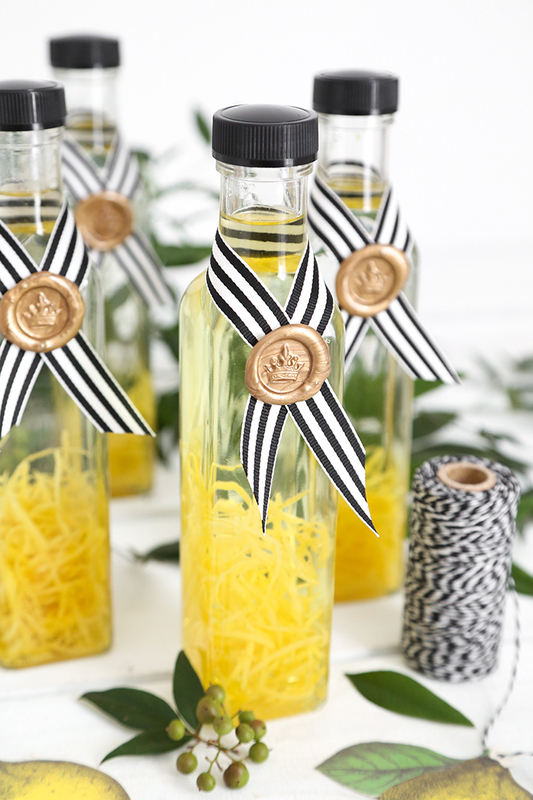 You can tell from my previous vanilla extract post that I love using sealing wax on bottles. I decided to make a few decorative gold seals for my bottles since they are destined for gifts. 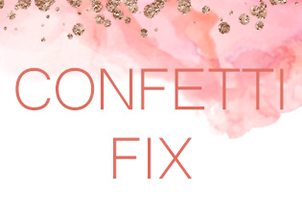 These were made with gold glue gun sealing wax, which is super easy to use in a standard-size glue gun. The crown stamp I used can be found here, although this one with a lemon motif would have been perfect! I attached a small length of ribbon around the neck of the bottle along with the gold seals using a glue gun. Tah-DAH! The finished bottles are ready for a 6-8 week nap in a cool dark place. Give them a shake once or twice per week for best results. 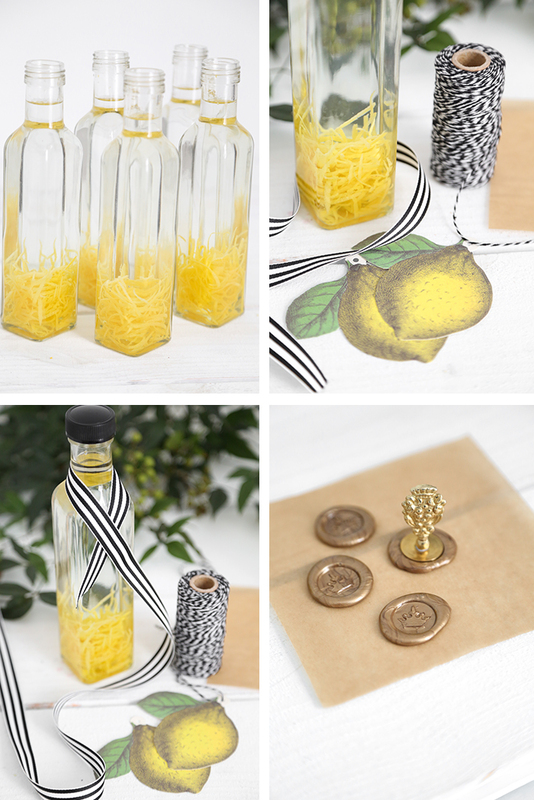 I found some really beautiful lemon gift tags that are blank on one side, so they can be penned with 'Lemon Extract' just so the gift recipient has no question of what's floating inside the bottle! It's been only a week since I've snapped these photos, and the liquid has already infused to bright yellow. It's really lovely and I can't wait to give these to my friends and family! 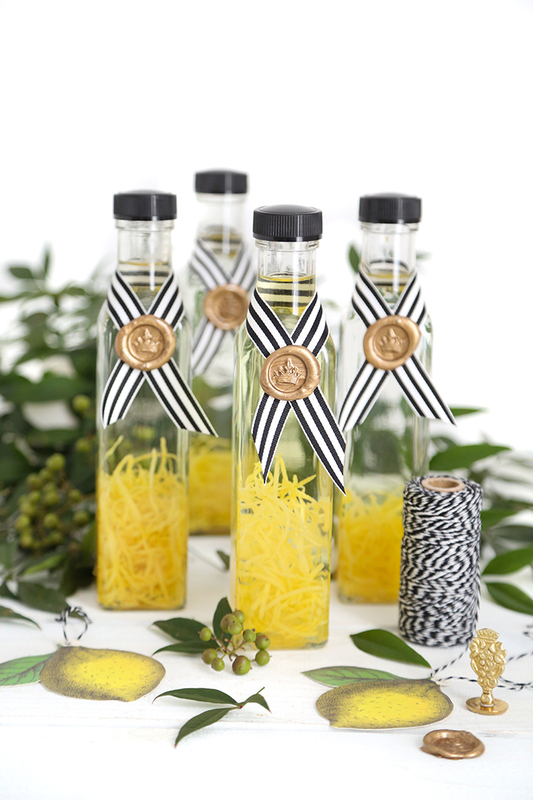 You will need a ribbon citrus zester and six 8.5 ounce bottles with lids for this recipe. See blog post for resources. Sanitize bottles and caps by dipping them in a large pot of boiling water. Let stand on a dish towel until completely dry. Wash and dry lemons. 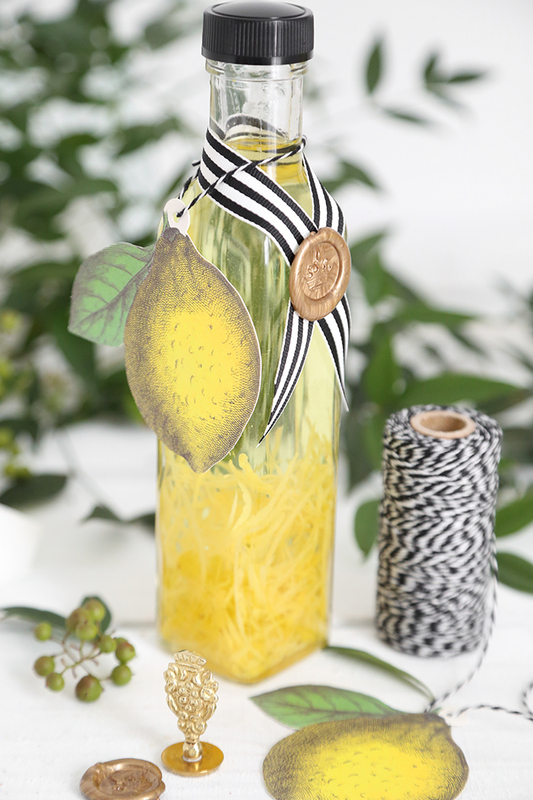 Use a ribbon citrus peeler to zest the lemons onto a plate. Be sure to avoid getting any of the white lemon pith in the zest, or the end product will taste soapy. Reserve zested lemons for other use such as making lemonade or lemon curd. 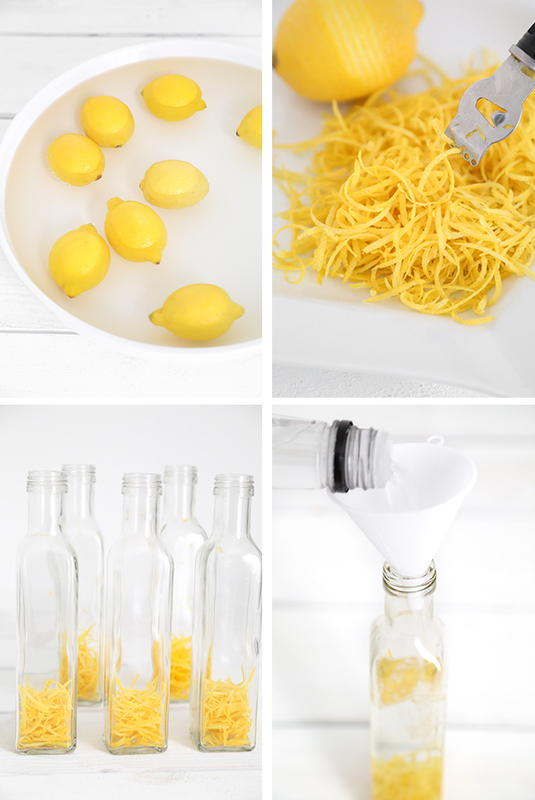 Place 1/4 cup loosely packed lemon peel in each bottle (zest of 3 lemons or .30oz). Use a funnel to pour approximately 1 1/2 cups of vodka into each bottle. Place caps tightly on bottles and shake occasionally for 6-8 weeks, or until lemon thoroughly infuses into the alcohol. 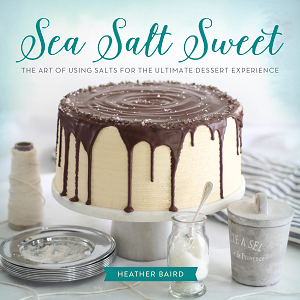 Hi Heather, I am so very excited to try this!!!! WQW - easy yet beautiful idea. 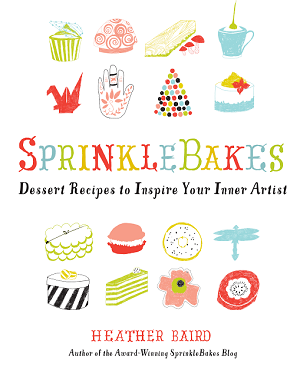 I will let you know how it goes as I also plan to make one of your jellies also for holiday gift giving. Could I do the same thing with oranges and or limes? 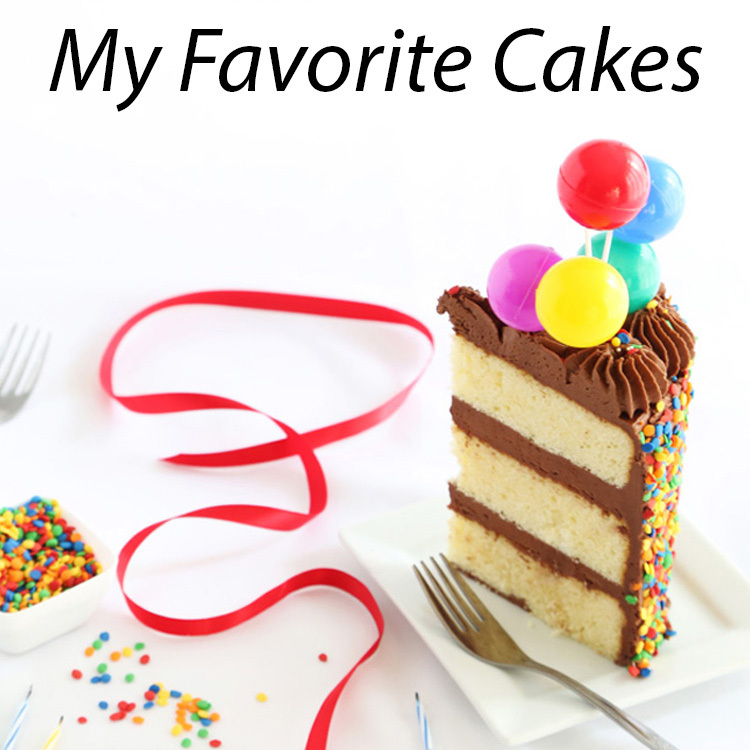 Love your books and your newsletters. I'm so happy to hear that! Yes, you can certainly do the same with oranges and limes. I'd love to know how you fare with the jellies and extracts. 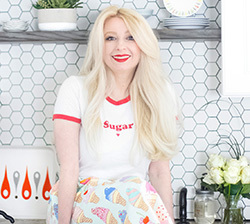 Good luck with these kitchen adventures!